Hawaii DeBartolo LLC has selected two architectural firms and an engineering company to develop what will be the first new regional shopping center in Hawaii in more than 40 years. San Diego-based Tucker Sadler Architects was named as the design architect; Architects Hawaii, the architecture agency of record; and Belt Collins Hawaii was selected as the project engineer for the much-anticipated Ka Makana Ali‘i Center, a 1.4 million-square-foot, urban mixed-use regional center in East Kapolei. 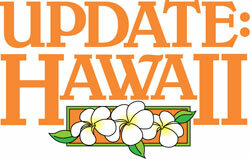 The shopping center’s initial phase, located at Kapolei Parkway and Kualakai Parkway (formerly North-South Road), is expected to break ground in late 2012 and open in 2014. It will feature a neighborhood commercial center and will include a specialty market, drug store and local retail shops and services. Nordic PCL was named the general contractor for Phase I. When completed, Ka Makana Ali‘i will be the third largest shopping center in Hawaii (after Ala Moana Center and Pearlridge) encompassing a major department store; family entertainment complex; including cinema; retail stores; restaurants; fitness center; two hotels catering to kama‘?ina; low-rise office buildings; a pedestrian plaza surrounded by outdoor cafes; underground parking along with at grade parking; and a neighborhood commercial area with specialty market, drug stores, convenient shops and services designed to meet daily shopping needs of the community. Ka Makana Ali‘i will incorporate many sustainable and green initiatives including a LEED-certified office building utilizing the latest in energy and environmentally sensitive design elements. The mixed-use regional center, located on 67 acres of land leased from the State Department of Hawaiian Homelands (DHHL), is expected to help transform Kapolei into a true second city for Oahu that Kapolei’s founders had originally envisioned. It will be surrounded by the new University of Hawaii – West Oahu campus; Kapolei Middle and High Schools; the Kroc Center; and housing developments planned by DHHL, providing a rich diversity of shopping and entertainment opportunities for residents of the Ewa-Kapolei region. In addition to building thousands of homes adjacent to the center for Hawaiian homesteaders, revenues from the master lease will also finance other homesteading opportunities for Native Hawaiians, according to DHHL officials. Construction will be completed in two phases over the next four years and will cost more than $350 million. An estimated 21,000 construction jobs will be created, as well as over 6,500 new jobs, directly and indirectly, from the businesses that move into the center. Founded in 1957, Tucker Sadler Architects is an award-winning firm providing planning, architecture, interior design, and development services for commercial, medical, residential, civic, educational, institutional, recreational, entertainment, religious facilities, and hospitality projects throughout the nation. Tucker Sadler has a strong commitment to sustainable design as it is an integral part of its design philosophy. Focused on the collaboration of designers, innovators and seasoned building professionals, Tucker Sadler assures full principal commitment to every project, ensuring design excellence and execution of efficient documentation. One of Hawaii’s largest and oldest architectural firms, Architects Hawaii Ltd. provides architectural, planning and interior design services in the hospitality, commercial retail and office, residential, healthcare, institutional and industrial facilities markets and projects for the Armed Forces. The firm’s portfolio of award-winning projects extends around the globe. Recent notable projects include the Ronald T.Y. Moon Judiciary Complex, Diagnostic Laboratory Services, Kukui’ula Village and Allure Waikiki. Founded in 1953, Belt Collins Hawaii is a planning, design and consulting firm based in Honolulu with award-winning projects.